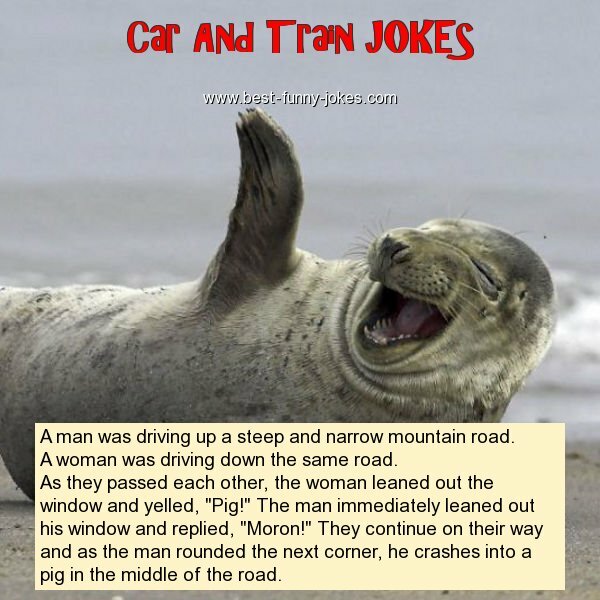 As they passed each other, the woman leaned out the window and yelled, "Pig!" The man immediately leaned out his window and replied, "Moron!" They continue on their way and as the man rounded the next corner, he crashes into a pig in the middle of the road.